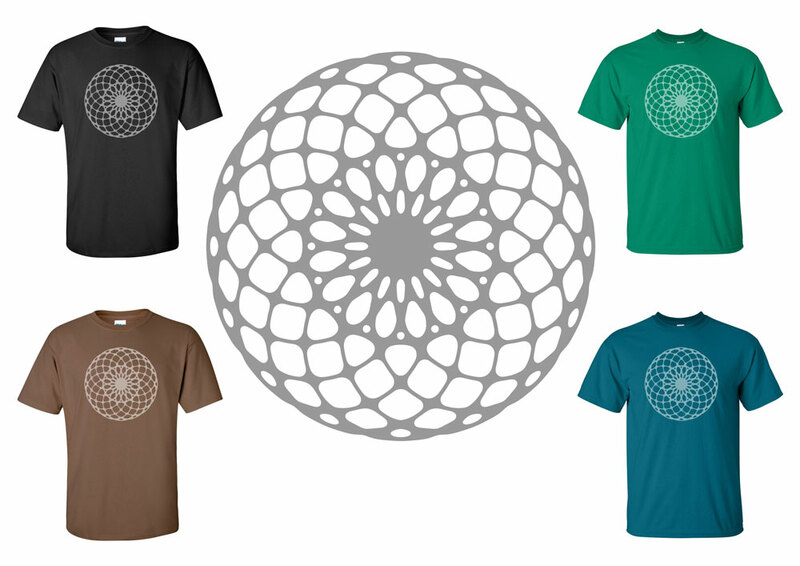 I developed the geometric design for this t-shirt in Adobe Illustrator. 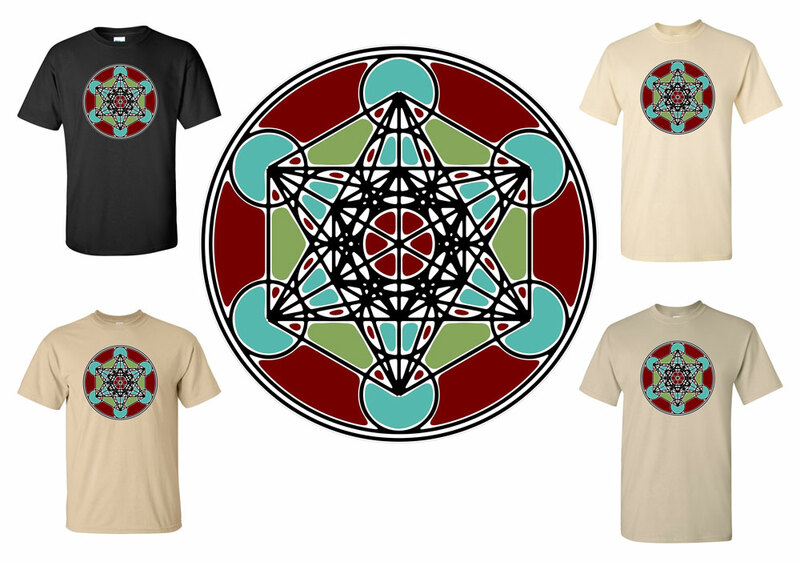 This is my adaptation and manipulation of the sacred geometric figure known as the “Metatrons Cube”. I started by drawing the geometry in Adobe Illustrator and then brought the drawing into Adobe Photoshop and manipulated it until achieving the design you see here. 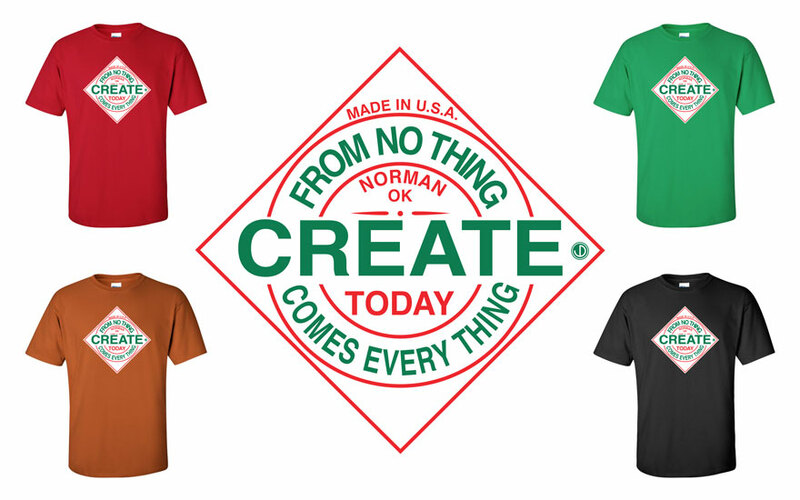 This shirt is available for purchase at DufourDesigns.com. 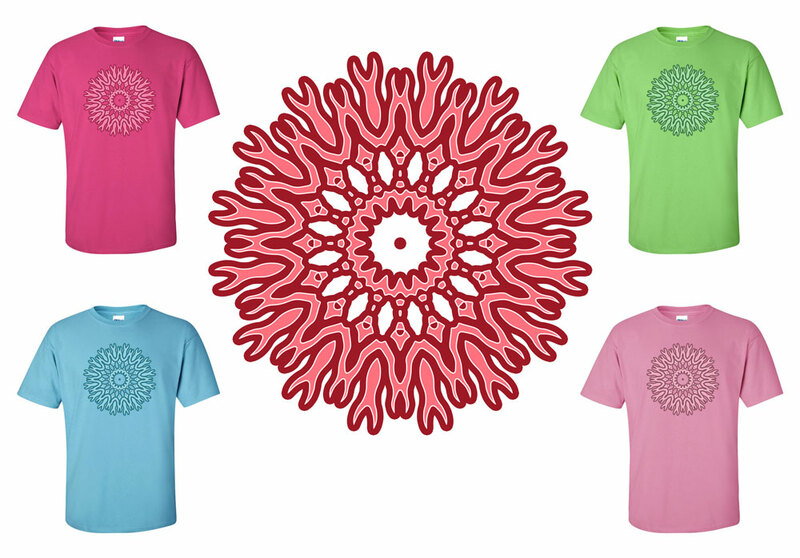 This t-shirt is adorned with a symmetrical design I created using a combination of Adobe Illustrator and Adobe Photoshop. I call this the “Geo-Ball” and in fact I later adapted it for use as part of my Dufour Designs logo. 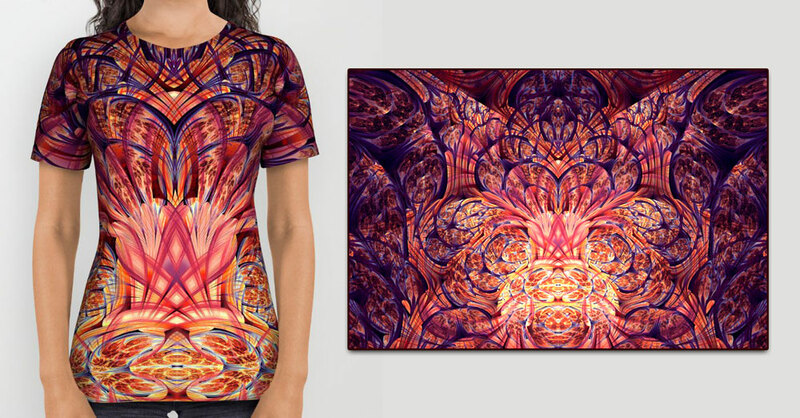 This is an all over print shirt design created from a design I developed in Adobe Photoshop. This shirt is available for purchase currently at my Society6 store. 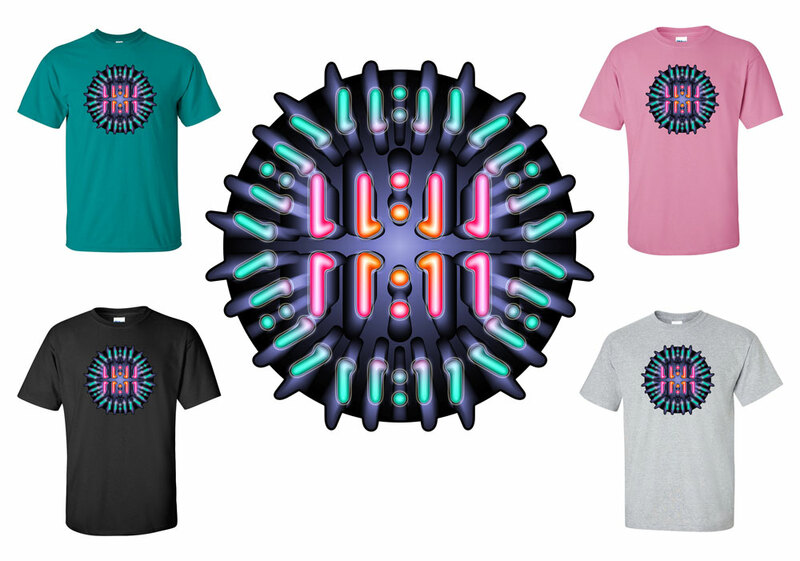 After seemingly noticing the numbers and time 11:11 for many years, I decided to design a t-shirt based around it. 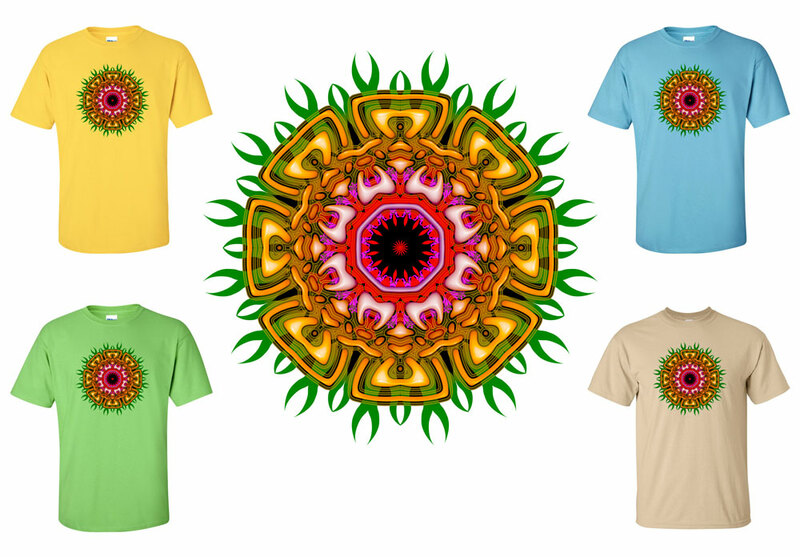 Tribal Flower t-shirt design. 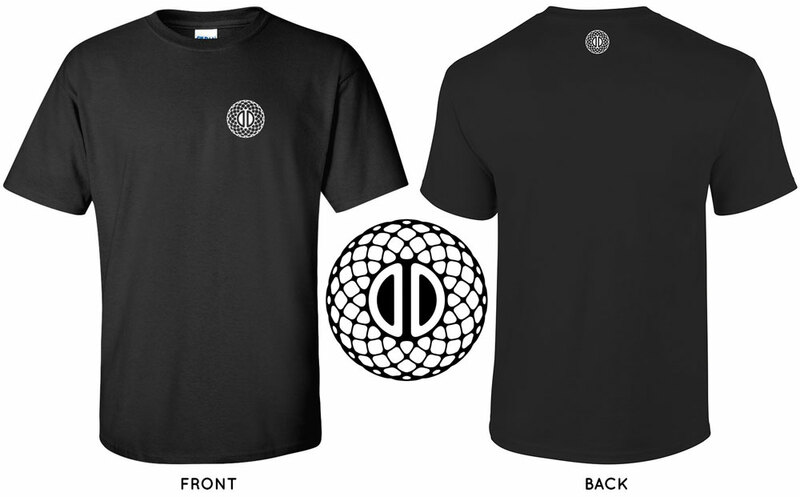 This shirt is available for purchase at DufourDesigns.com. 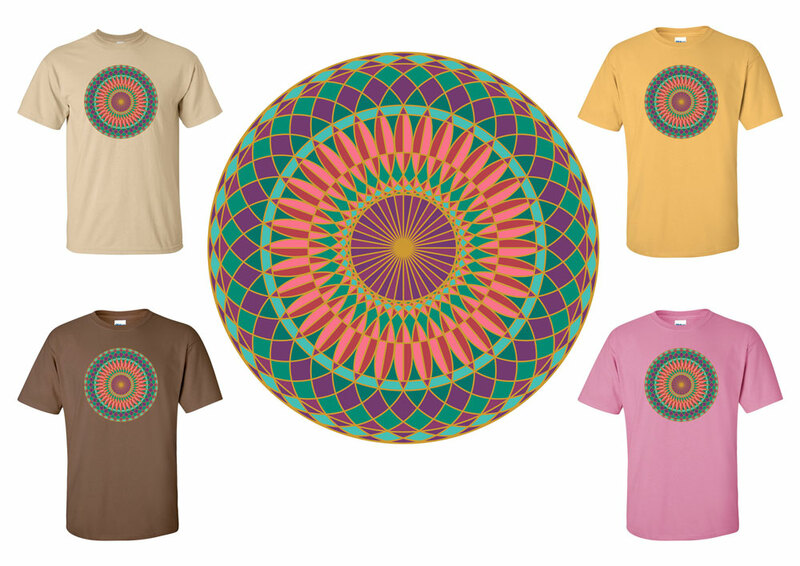 Tribal Mandala t-shirt design which I originally designed for use on the “Mike’s Harder Dragon Nectar” beverage can.